Over the course of the years, nickel has been battling a up and down rollercoaster with fluctuating prices. 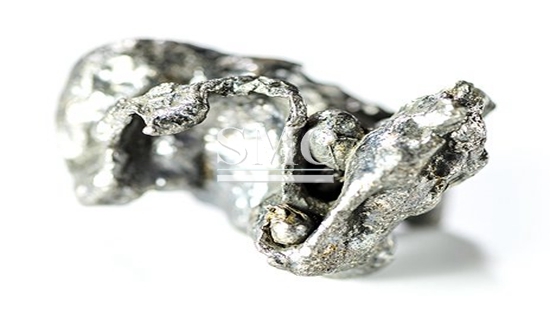 Last week, Nickel has reached a low of $8,700 per ton according to the London Metal Exchange. Recently, it has recovered by a very small margin and went up to $8,900. Nickel has been one of the worst metals performing and declined over 10%. It is expected for nickel to continue trading at a very low level for the next few years due to unbalance of supply and demand. This has not been the first time a situation like this has happened. Around 2005 and 2006, nickel prices exceptionally rose and the industry reacted by supplying more than usual. In the end there was inventory that was not being sold and the industry had to start over. Nickel is a silvery metal belonging in the transition metals and is extremely durable, ductile, and malleable. It is able to perform well at low and high temperatures, allowing it to be used regularly in kitchen appliances. It is considered a relatively good conductor of heat as well as electricity, making it a key element in rechargeable batteries for a variety of electronics. Because it is resistant to corrosion, even against salt water, it can be found in the propeller of boats as well as desalination plants. Also, due to its resistance against corrosion, it requires low maintenance and has a long life span. It has been around since the early times and is used widely in alloys. Alloys are metals that are mixed with another element, not necessarily another metal. More than 60% of the nickel produced is used to create stainless steel that can be used for chemical plants, gas turbines, as well as harder applications. The remaining percent of nickel that is produced and is not being used for stainless steel will generally be used to create some sort of alloy. Copper-nickel alloys are commonly used for coinage as well marine engineering. Along with creating different alloys, nickel also plays a key role in making chemical reactions more efficient. Nickel is one of the most versatile and important metals that allow us flourish in our everyday lives. Its properties make it one of the most important elements in the steel industry, as well its many other applications. Its long life can help reduce cost through time, and at the end of their life, it is 100% recyclable. Though it is currently struggling, it is still considered very important. Here at Shanghai Metal, we offer a variety of different metals, as well as stainless steel.